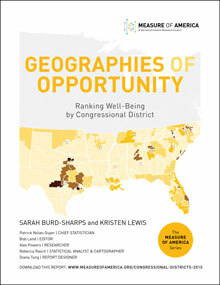 Geographies of Opportunity: Ranking Well-Being by Congressional District is an in-depth look at how residents of America’s 436 congressional districts are faring in three fundamental areas of life: health, access to knowledge, and living standards. While these metrics do not measure every aspect of our multifaceted society, they capture outcomes that are essential to well-being and opportunity. 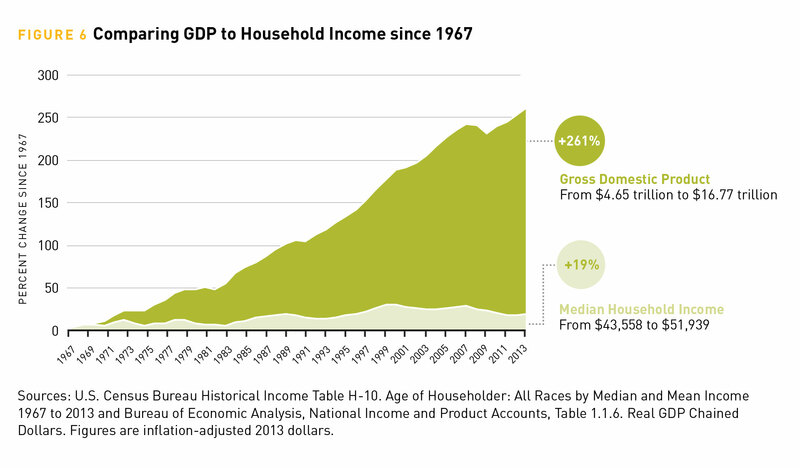 The hallmark of this work is the American Human Development Index, a supplement to GDP and other money metrics that tells the story of how ordinary Americans are faring. For more on the index, go here. 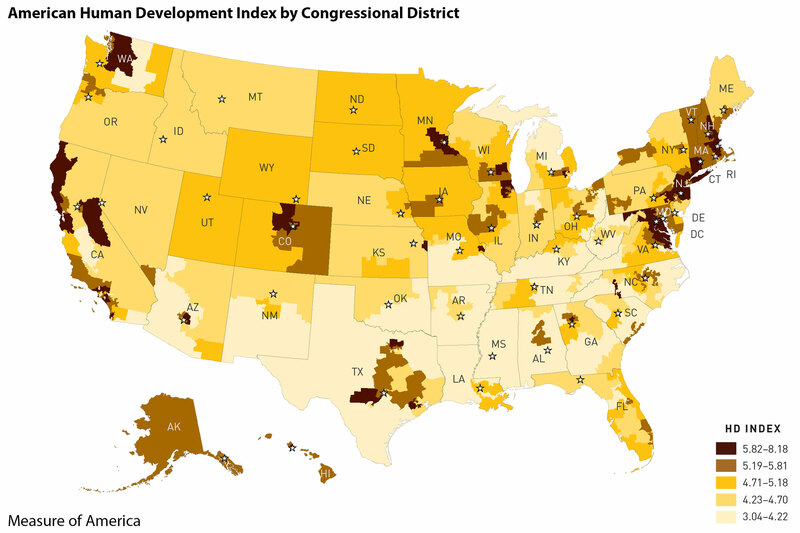 The top ten congressional districts in terms of human development (HD) are all in the greater metropolitan areas of LA, NYC, San Francisco, and DC. The bottom ten districts disproportionately comprise struggling rural and urban areas in the South. These areas face interlocking challenges in terms of residential segregation by income and race, poor health, under-resourced educational infrastructure, and limited job opportunities. 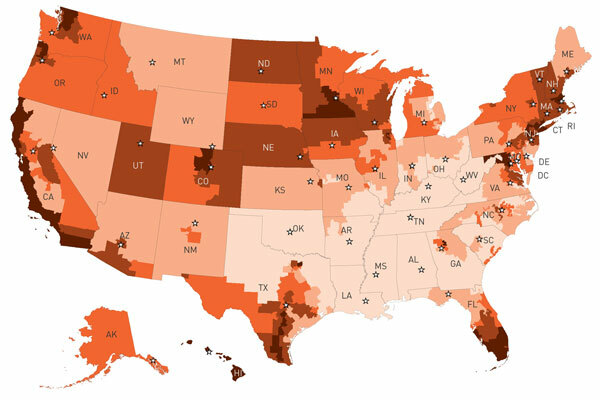 In the 22 congressional districts where almost all residents (98 percent or more) are native-born, American Human Development Index scores are all below the national average. Life expectancy ranges from just under 84 years in California District 19 (San Jose and part of Santa Clara County) to just under 73 years in Kentucky District 5 (rural southeastern Kentucky). This shocking gap is more extreme than the life expectancy difference between Japan and the Palestinian territories. African Americans fare particularly poorly on health indicators. Whites outlive African Americans by 3.6 years; African Americans have higher death rates from a variety of causes, chief among them heart disease, cancer, homicide, diabetes, and infant death. The higher the proportion of foreign-born residents in a congressional district, the longer the district’s life expectancy. Topping the charts in education are districts from the San Francisco, Boston, New York, Los Angeles, and Washington, DC, metro areas. They occupy this rarefied position for two primary reasons: these cities attract highly educated workers from elsewhere and support (with some notable exceptions) their youth with robust pathways to high school and college completion. 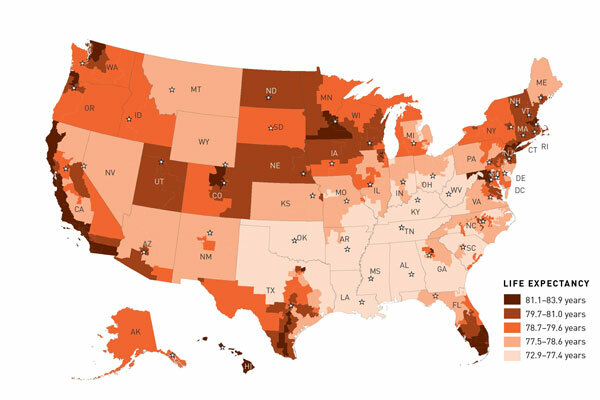 There are over 5.5 million disconnected youth in the United States—young people between the ages of 16 and 24 who are out of work and out of school. 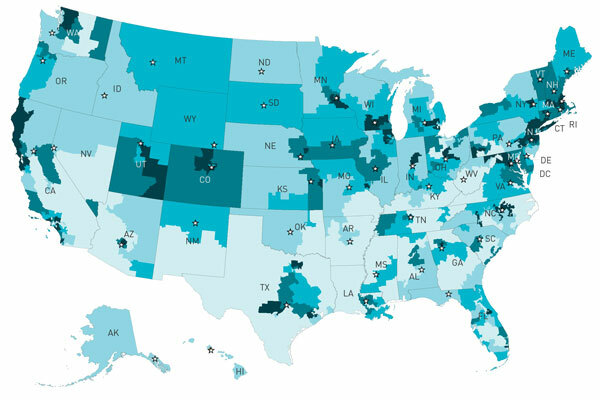 In 32 districts, at least one in every five youth are disconnected. These districts are concentrated in the South and Southwest. Median personal earnings by congressional district range from about $20,000 in the highly diverse LA neighborhoods of California District 34 to more than triple that sum (nearly $61,000) in New York District 12 (Manhattan’s East Side and parts of Brooklyn and Queens). The distribution of earnings between these two extremes is heavily skewed toward the lower end; in over half of all districts (222 out of 436), median personal earnings fall between $20,000 and $30,000. 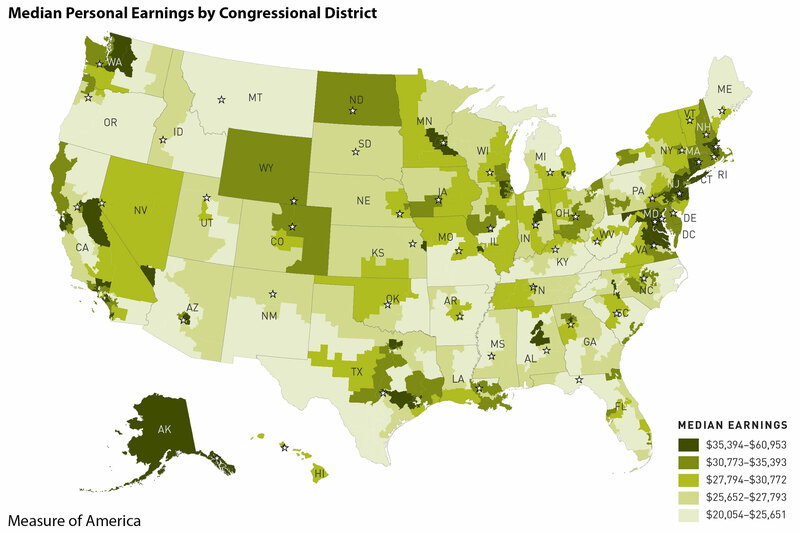 Pockets of high and low earnings are found in every part of the country. The greatest earnings inequality is in the Middle Atlantic region—home to both the storied glamor of the top-earning Upper East Side of Manhattan and, just five subway stops away, the entrenched poverty of the South Bronx neighborhoods that make up District 15, which has the fourth-lowest earnings in the nations. Members of Congress as a group tend to have much higher levels of human development than the people they represent. 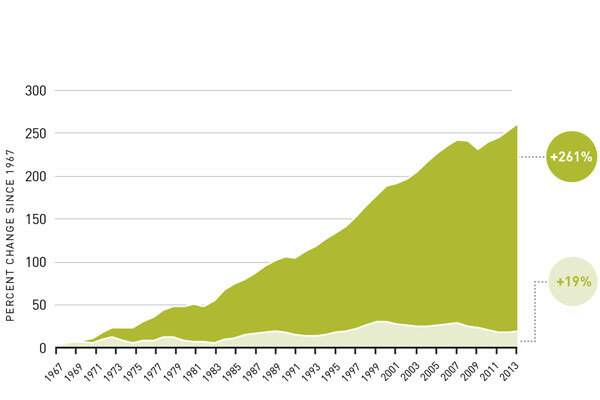 The graphic below shows how the 114th Congress compares to the U.S. population on the American Human Development Index. How Representative Are Our Representatives? 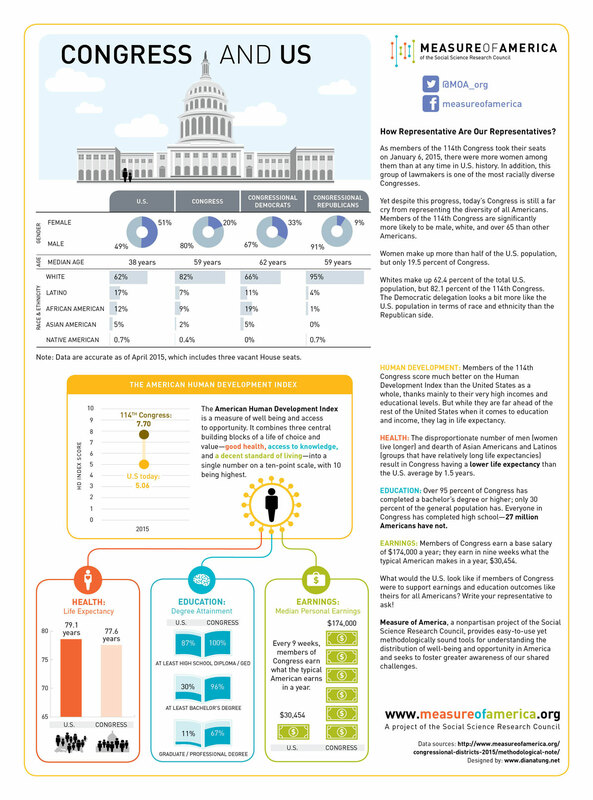 We calculate the American Human Development Index for the 114th Congress; take a look here. Measure of America will help you choose the right indicators to tell the story of how people are doing in your community. For more info, go here.